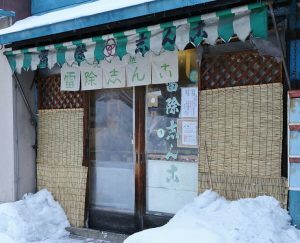 Otaru, where ingredients for rice cake confectionaries have been readily available by ship and train since olden times, has many rice cake shops. We visited a long-established shop with a history of more than 150 years. When talking with people in Otaru, it sometimes felt like “rice cakes” were the symbol of great prosperity. 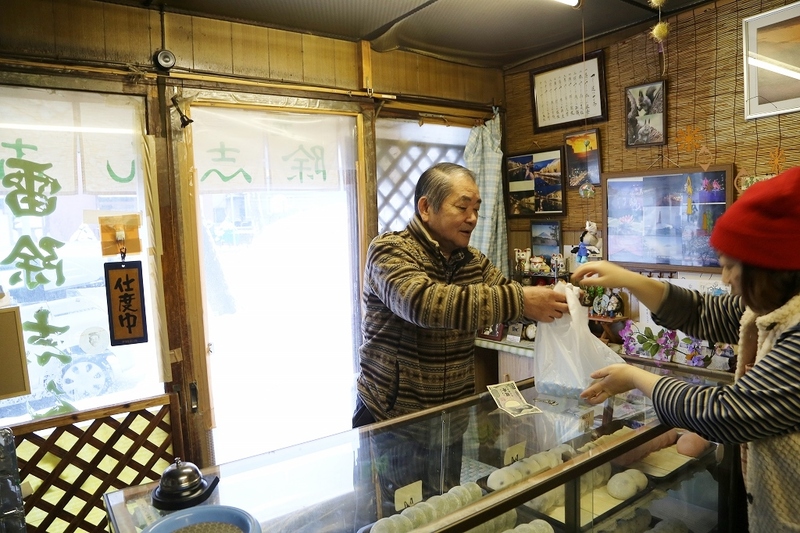 “Kaminariyokeshinko” is Otaru’s oldest rice cake shop in Temiya, known as a collection and distribution center. The founder is said to have sold rice cakes at a port. The fourth owner, Fujinoto Hidekatsu currently maintains the shop’s reputation at the shop in Wakamatsu-cho. 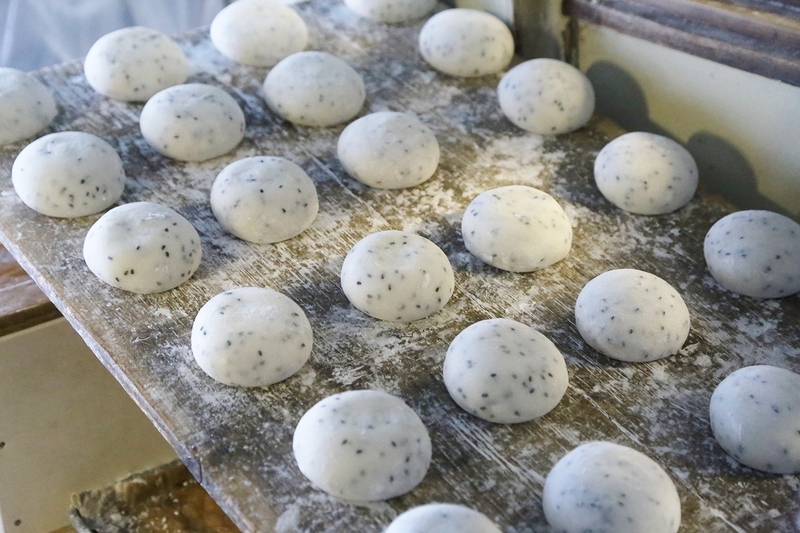 Kaminariyokeshinko rice cakes were loved by the workers at prosperous Otaru port, one of the three largest ports in Japan, along with Kobe and Yokohama, during the Meiji and Taisho periods. Women called “Ganganbutai”, who peddled marine and farm products packed in tin cans, spread Otaru’s rice cakes throughout Hokkaido. The Otaru market originally began with stalls from repatriates from Manchuria and Sakhalin sold fish placed in wooden boxes. The peddlers who supported the market came from the coal mines in Shiribeshi or Sorachi to purchase marine products. The women, who selected and purchased items before dawn and then returned by train around 8 a.m., were as exhausted as the workers at the port. Perhaps they ate a daifuku (rice cake filled with red-bean paste) and took a short rest on return train. 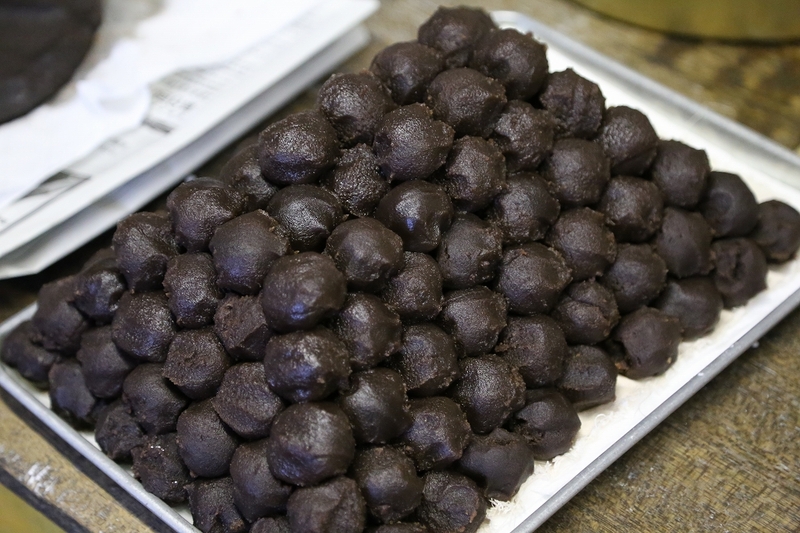 People never grow tired of the red-bean-paste filling with a slightly salty taste. Hidekatsu took over the family business approx. 40 years ago. “Since my father became ill and no one else could take over, I returned. Up to that time, I had not been taught anything about the business. When I was in elementary school I helped my father. 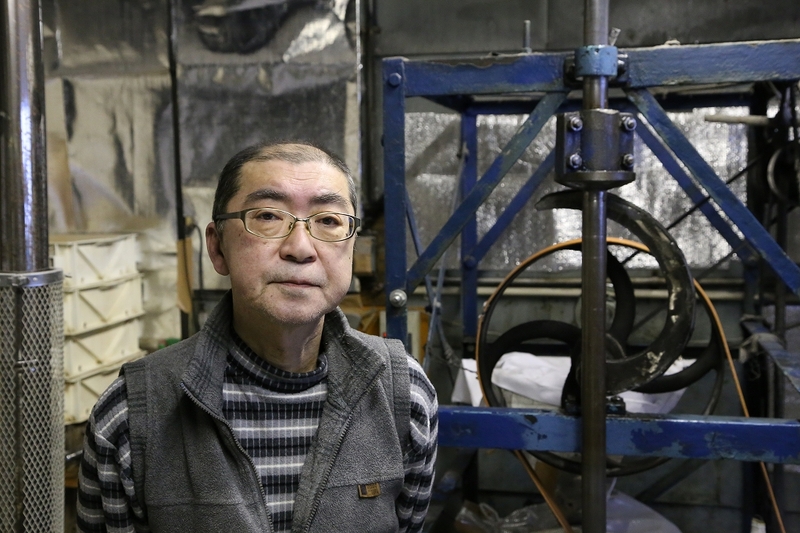 When I was a junior high school student, I delivered rice cakes carried on a sled while listening to the bell ringing out the old year,” he explains. 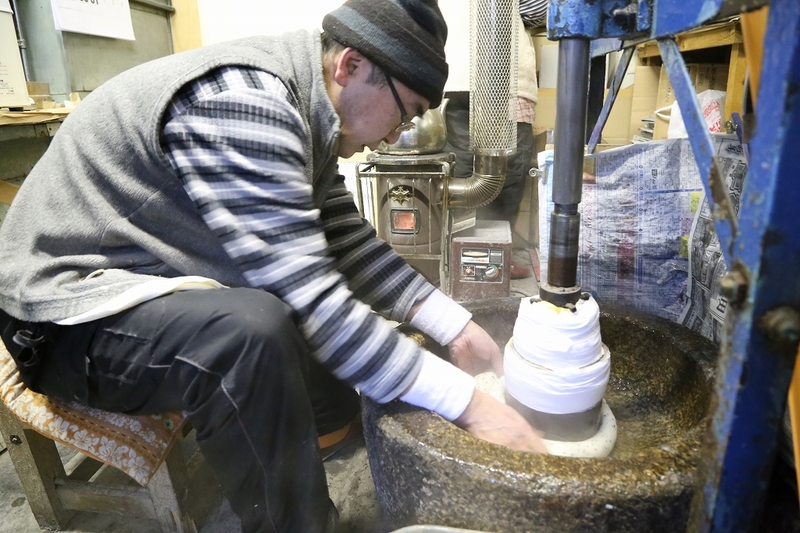 His father used 240-300kg of rice to make rice cakes at the end of the year. That much rice had to be washed in a steel drum. 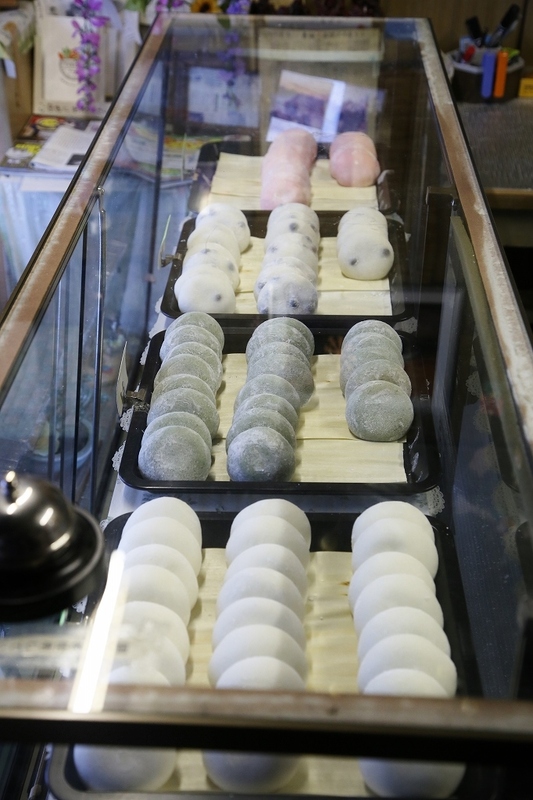 “Otaru once had over 100 rice cake shops” according to Hidekatsu. 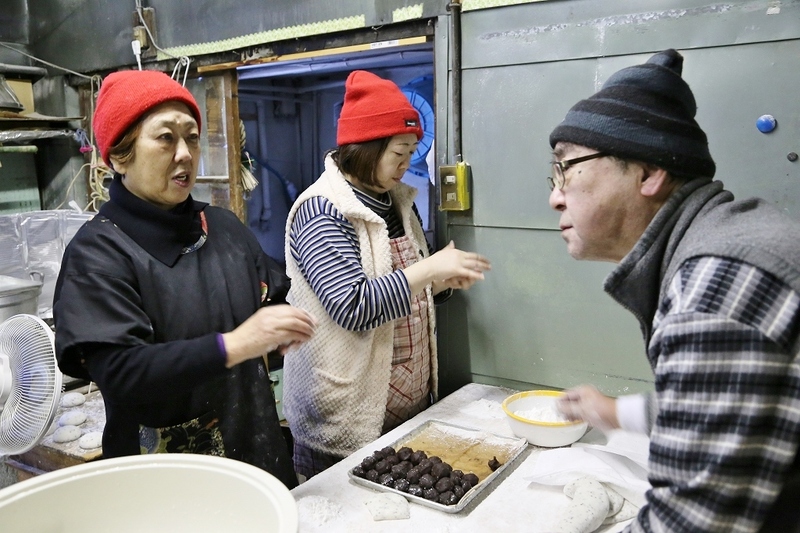 There is also a story about the famous writer Kobayashi Takiji helping the family business by making rice cakes before leaving for work at the Otaru branch of a bank. Otaru is undoubtedly the city of rice cakes.